Yes, that little smartphone you keep in your pocket has the potential to burst—and it’s not limited to exploding Samsung batteries. A lithium-ion battery is the same no matter what device it’s in, and they all carry identical risks. What are these risks? And how can you reduce them with your phone? That’s what we’re going to explore in this article. We don’t have a bunch of doom-and-gloom fear-mongering stories for you. Yes, your phone can explode. But no, it’s isn’t likely to happen at all. 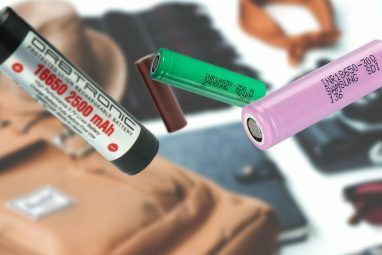 Modern lithium-ion batteries—today’s preferred rechargeable batteries for everything from smartphones to Tesla vehicles—have the capacity to be highly explosive. The point of explosion is sudden and extremely hot. But outside of a lab where people apply an extremely hot source to the battery, how do these batteries explode in the real world? One area of the battery starts getting too hot due to a short-circuit in the charging circuit, or some other external cause. The chemical reaction inside the hot area begins generating its own heat as well, which spreads to other areas in a process known as electrolyte overheat. Eventually, this building heat causes the electrolyte to give off stream, which bursts the battery casing. Very flammable, hot liquid (not unlike napalm) escapes and usually burns or melts the surrounding phone casing and whatever the phone is next to. This reaction, known as “thermal runaway,” does sound pretty horrendous, but there’s one fact that should set your mind at ease: manufacturers are constantly implementing new safety features in lithium-ion batteries that reduce the likelihood of this happening, or at least reduce the damage caused when it does. Non-flammable additives added to the electrolyte and battery coatings. Built-in circuitry that protects against current surges. Circuit interrupt devices that open the circuit if the cell pressure exceeds safe limits. Fail-safe safety vents that release gases if the cell expands beyond a higher safety limit. Thermal fuses that break the circuit when temperatures reach a safety limit. 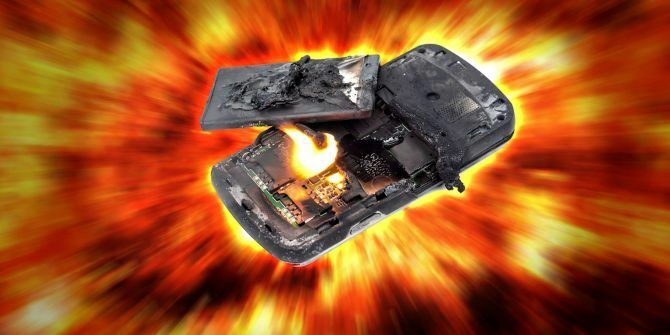 So for a healthy battery installed inside the average phone, the worse-case scenario before the battery ever reaches this nightmare “thermal runaway” scenario is a message that the phone needs to shut down. Or the battery may simply stop working. Still, there are situations that could still cause a battery to explode. As mentioned above, everything will work fine so long as you are dealing with a healthy battery. One problem that can negatively affect a battery’s health is physical damage from drops. Most people will rush to a local repair center to get their screen repaired when this happens. If the phone still works, they don’t even give a second thought to what damage the battery might have sustained. Unfortunately, a drop can alter the internal mechanical or chemical structure of the battery. These changes could cause any of the fail-safe circuitry to fail in extreme stress conditions. In many situations, you can avoid explosive battery failure by paying close attention to signs of existing battery damage. For a smartphone battery to be safe, all its built-in safety features need to function properly. So it’s important to never use a battery that has visible signs of damage. While there may be safeguards built into your battery to ensure that it sheds excessive heat, or shuts down when too hot, it’s important to keep the battery away from those temperature limits in the first place. Normally any of these uses are fine, but if you’re doing them in an environment that’s extra hot, you could run into trouble. 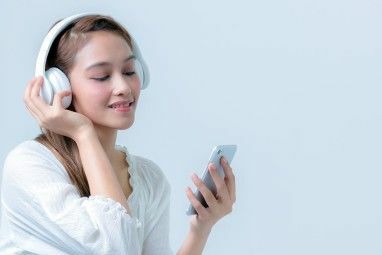 For example, using a phone in direct sunlight at the pool, while listening to Spotify and browsing the web, makes an already straining smartphone struggle to cool itself. Even if this doesn’t cause the battery to explode, it can contribute to the aging process and make getting long battery life 5 Advanced Ways to Improve Battery Life on Android 5 Advanced Ways to Improve Battery Life on Android If you've got a rooted Android device (or you're willing to root it), and you want better battery life, we can help you out. Read More a challenge. Charging your phone under these conditions can contribute to overheating even further. The phone naturally builds heat during charging. Remove the phone from its case when you’re charging it. Keep the phone out of direct sunlight whenever possible. Don’t leave your phone in a hot car for extended periods. Don’t charge the phone while it’s in a pocket or inside a bag, or any other place that can trap heat. We’ve offered many ways to avoid overheating an Android phone How to Prevent Your Android Phone From Overheating How to Prevent Your Android Phone From Overheating Is your Android phone overheating? Here are some ways to cool down your phone and keep it from getting too hot in the future. Read More , and tips to keep your iPhone cool iPhone or iPad Getting Hot? Here’s Why & How To Fix It iPhone or iPad Getting Hot? Here’s Why & How To Fix It There are a few different reasons your iOS device might get hot. Here's what you can do about it, and when you should start to worry. Read More . Following these is an important part of being a wise smartphone user. I purchased a first-generation Google Pixel when it launched. Not knowing that the Pixel requires a cable with a built-in 56k Ohm resistor conforming to Type C specifications How to Buy a USB-C Cable That Won't Destroy Your Devices How to Buy a USB-C Cable That Won't Destroy Your Devices A few months ago, Amazon banned USB-C cables that did not meet the standards set forth by the USB Implementers Forum (USB-IF), and for good reason: such cables are prone to failure, can damage connected... Read More , I grabbed a cheap cable in the checkout line at Walmart to charge it. I incorrectly assumed all USB-C cables are manufactured the same. The reality is that manufacturers of cheap chargers produce cables that do not always meet specifications required by USB-C devices. After some time using it, I started noticing my phone became especially hot during charging. One day when I went to charge my phone in my car, the phone became extremely hot and the charger actually became stuck in the charger port. As I was trying to pull it out, a small puff of smoke came out of the charger port. I’m lucky I didn’t experience a smartphone exploding in my face. Thankfully, Verizon replaced the phone under the manufacturer’s warranty. But the lesson I learned was an important one: Buy brand-name chargers from reputable retailers! You can buy non-OEM chargers, but you need to make sure they meet all specifications required by your phone. Cheap knockoff chargers like these use materials with sub-standard quality or an incorrect gauge of wire that lacks appropriate overcurrent protection. If you don’t invest in a quality charger, you can run into charging problems 5 Reasons Why Your Phone Is Charging Slowly 5 Reasons Why Your Phone Is Charging Slowly Wondering why your phone won't charge as fast as it used to? Here are a few possible causes that could explain why. Read More at best. At worst, you’re risking not only the destruction of your expensive phone, but possible injury to yourself. Lithium will ignite and burn when in contact with water or water vapor. Batteries come well-sealed, so that kind of contact shouldn’t happen normally. Many modern phones are waterproof or water-resistant What Makes a Device Waterproof or Water-Resistant? What Makes a Device Waterproof or Water-Resistant? A lot of devices are marketed as waterproof, but that can be severely misleading. Most are actually water-resistant. What's the difference? Here's everything you need to know about it. Read More . However, combine a cheap smartphone with a punctured battery, and you’ve got a recipe for disaster. Lithium reacts to both water and oxygen, so puncturing a lithium-ion battery will produce a reaction. This could be anything from a little bit of smoke and a terrible smell to a full-on explosion. And the reaction is rapid. Obviously, this means there’s always a danger if a smartphone gets punctured during an accident or any other violent situation. It’s important to keep in mind that the battery inside your smartphone has the capacity to become a dangerous hazard under extreme conditions. So the idea is to avoid those extreme conditions. Store, charge, and treat your smartphone in a way so that should anything ever happen, you are protected from serious injury. 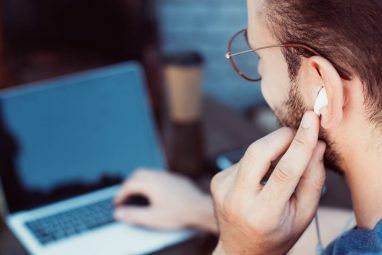 To learn more, check out some common misconceptions about smartphone batteries 8 Common Misconceptions About Mobile Device Batteries You Need To Know 8 Common Misconceptions About Mobile Device Batteries You Need To Know Let's strap in and clear the air about some of these commonly-held mobile battery myths. Read More . Explore more about: Batteries, Battery Life, Personal Safety. There were a few areas where you mentioned keeping the phone away from direct sunlight. I have found that even with basic usage (running a single, simple news app), direct sunlight on a warm-to-hot day makes the phone very hot. It gets sluggish quickly, to the point of being unusable. Are there any screens that act less as magnifying glasses to the battery? My Amazon HD 8 (2017 generation) gets burning hot extremely fast in direct sunlight. My smartphone takes a bit longer to get to the same state. I imagine (based on how today's phones/tablets are built), the screen acts like a magnifying glass regardless. Still, there must be some screen types that manage this issue better. The screens are flat, so they can't magnify the sunlight. But there are two factors at play in direct sun. Even without magnification, the absorbed light does heat the phone somewhat. And in bright light, the screen backlight is also likely running at maximum brightness, consuming maximum current, heating both the LEDs and the battery significantly. Scott is right, (most) phone screens are flat so magnification isn't an issue. The only issue with glass is it allows in more heat than the case does, just due to simple thermodynamics. But if you *are* under the sun you can reduce this by laying the phone face-down rather than having the glass side directly facing the sun.